Kevin Harvick started sixth, finished second, collecting nine bonus points. The Jimmy John’s driver raced in the top-five until the competition caution on lap 60. The No. 4 Ford came to pit road for four tires, fuel and a small adjustment on lap 64 and came out in fourth. Harvick raced from fourth to second on the lap-66 restart and held the position the remainder of the stage. Harvick challenged for the lead in the closing laps of the stage and finished .003 of a second behind stage winner Ryan Blaney. He came to pit road for four tires and fuel at the conclusion of the stage and claimed the lead on pit road. Harvick raced out front at the start of the stage before dropping back to third. The Jimmy John’s Ford reported a tire issue on lap 185 and was forced to make an unscheduled four-tire pit stop. The stop resulted in Harvick losing two laps to the leaders. Harvick narrowly avoided a wreck on lap 200 that brought out a caution. The No. 4 team took the wave-around to gain a lap back. The Jimmy John’s Ford remained a lap down the remainder of the stage. Started 20th and finished 10th. Harvick raced his way up to the 17th position while remaining one lap down until staying out under caution on lap 442 to return to the lead lap. The No. 4 Ford restarted 15th on lap 445 and gained one position by the following caution on lap 472. Harvick brought the Jimmy John’s Ford to pit road for the final time on lap 474 for four tires and fuel. The team restarted 13th on lap 477 and battled through a series of late-race cautions to capture a top-10 finish. This was Harvick’s series-leading 20th top-10 finish of the season and his 19th top-10 finish in 36 career Cup Series starts at Bristol. Harvick finished second in Stage 1 by .003 to Blaney to earn nine bonus points. 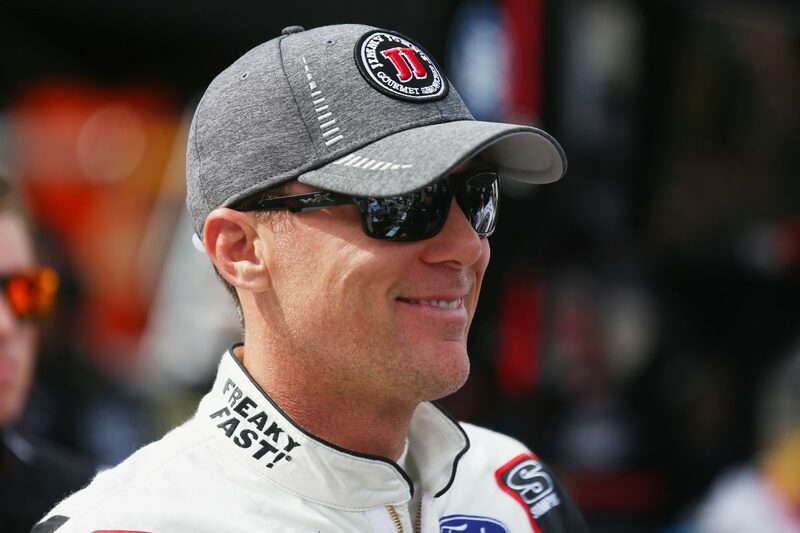 Harvick led twice for a total of eight laps to increase his laps-led total at Bristol to 884. Busch’s margin of victory over second-place Kyle Larson was .367 of a second. There were nine caution periods for a total of 70 laps. Only 15 of the 40 drivers in the Bass Pro Shops NRA Night Race finished on the lead lap.